Bubblewrap waffles are coming to Soho! In the early 1950s, egg waffles firstly appeared in Hong Kong and have since became a popular street snack across London. The reason for the waffles was because people didn’t want to waste broken eggs so they created the egg shaped iron machine and blended egg with milk and flour to make this meaningful and tasty waffle. If you’ve never tried one the first bite is crispy, then the softness inside will melt in your mouth… with flavoured and ice cream added for even more sweetness. 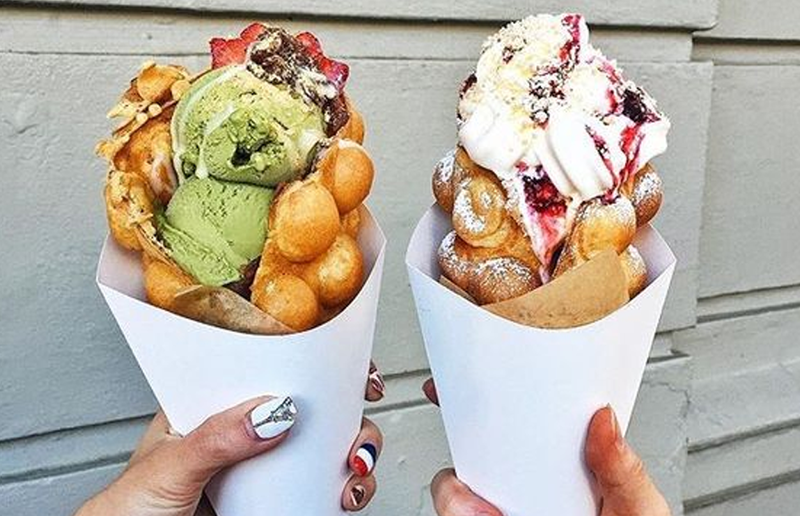 Bubblewrap Waffles are launching a permanent location after travelling around the country as part of food markets and festivals. 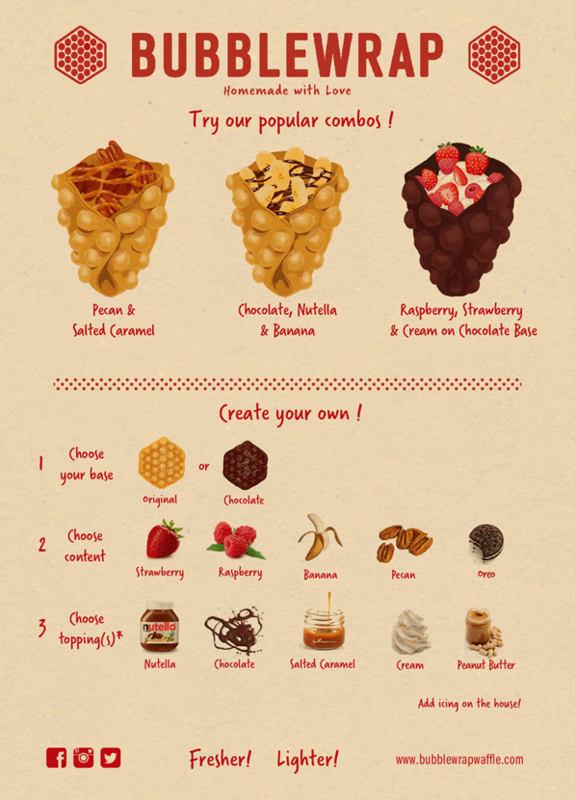 The egg waffles at Bubblewrap come in three flavours: plain, cocoa and matcha, and can be customised with six varieties of gelato, nine different sauces and 14 types of toppings. For the first two weeks they’ll be offering two for one on all orders, as well! Bubblewrap waffles openes on 24 Wardour Street, London, WID 6QJ on Friday 10th March 2017.